The new Emmy-nominated smash hit–Wild Kratts! Kratt Brothers Company is an award-winning entertainment company focusing on television and interactive digital media production, distribution, and brand management. With offices in the US and Canada, the Kratt Brothers Company operates a full-service live-action and animation studio where creativity brings its global properties to life. April 12, 2016 Wild Kratts is a Peabody Awards FINALIST! March 25, 2016 Kratt Brothers are Nominated for their 4th writing Emmy!! April 5, 2015 The Kratt Brothers are Nominated for another Daytime Emmy! September 19, 2014 Wild Kratts Wins Jackson Hole Science Media Award! 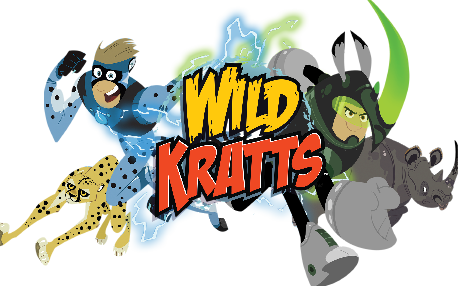 August 14, 2014 Wild Kratts Books & Toys Are Available NOW!!! July 7, 2014 Wild Kratts Toys R Coming to Toys R Us this August!! April 1, 2014 The Kratt Brothers are Nominated for an Emmy for a Third Time! © 2013 Kratt Brothers Company. All Rights Reserved.